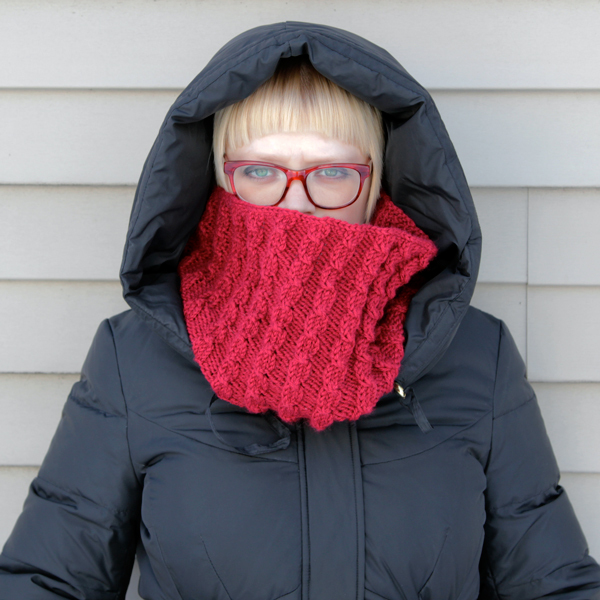 It thundersnowed in Chicago yesterday, which means winter knitting season isn’t quite over yet. 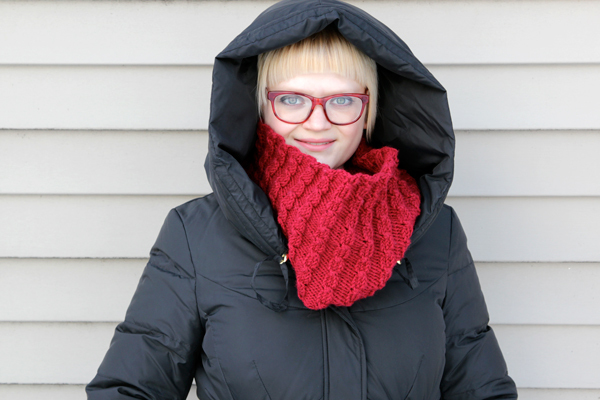 Unlike my faux woven cowl from last month, today’s cowl features a series of small cabled stripes all the way around and is made with less bulky yarn. 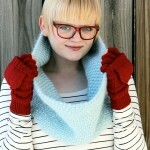 Also unlike that cowl, it breathes a little more, so it’s great for transitional weather. 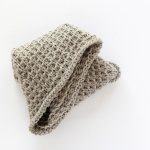 This cowl is knit in the round, so the cables end up vertical & the cowl is seamless. Literally seamless, actually, since it’s made with a single skein of yarn. It’s my favorite color too, so I love wearing it to match my glasses. 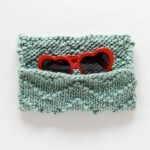 I made this cowl about a year ago when I was sick & completely forgot to blog the pattern it until today. 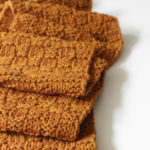 It’s made with acrylic yarn that’s proven to be pretty wear-resistant and washable (I just spot clean it). 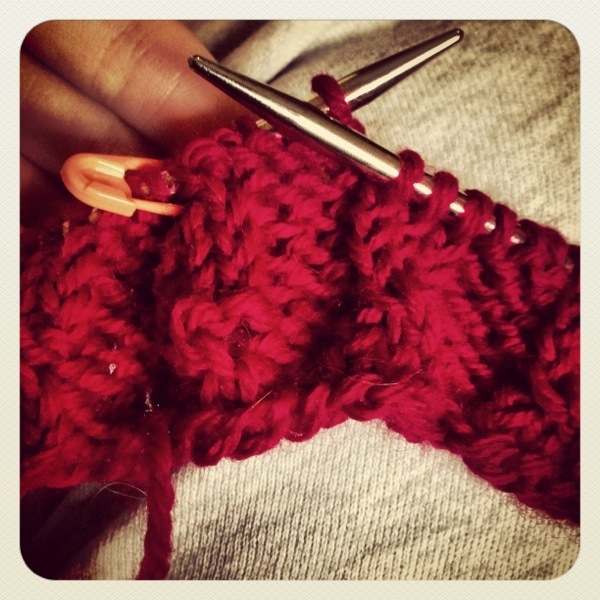 And the yarn was something I got for just ten cents at a rummage sale! I really can wear this with confidence and know it won’t be a big deal if I sneeze on it or leave it somewhere by accident. What do you think? Does this look like a PSA reminding kids to bundle up this winter or more like an ad for facial tissue? Hi, Heidi! It was great to connect with you at the blogger hangout yesterday. I love the cowl. I have one almost finished that’s been sitting on my needles for a while. Time to finish that up!